When you start hiding things, that’s when darkness creeps up. At the time two parties are divorced, a court will divide your marital assets in some fashion. In Montana, the court is charged with making a “fair and equitable” division of the marital estate, i.e., the assets and liabilities acquired during your marriage. The issue of inherited, gifted or premarital property is a subject for an entirely different post, but suffice it to say there are some different considerations for the division of these types of assets. While much has been made about the difference between “community property” states and non-community property states, the truth is that the end result is really very similar in most cases. But how can you divide what you don’t know exists? The simple answer is: you can’t and too often deceptive spouses get away with squirreling away assets that they don’t want divided. Montana, like most states, requires that the parties to a divorce disclose all of their assets and liabilities regardless of whether or not they were acquired by inheritance, earned during the marriage or otherwise. Failing to disclose assets is unethical, unfair and illegal. Executing a disclosure statement that is knowingly incomplete or inaccurate is perjury. Still, people do it all the time. So how do you protect yourself from a spouse determined to hide assets? First, it is wise to have a basic understanding of your finances before you are in a divorce setting. I am frequently surprised to find that one spouse has been left completely in the dark regarding finances throughout the course of a marriage. Having at least a working knowledge of your financial situation is probably a good idea for a wide variety of reasons that have nothing to do with divorce. As a collateral (and, hopefully, unneeded benefit) it will also help you know the nature and extent of your marital estate in the event that the worst happens. If you know that a divorce is likely or imminent, begin gathering financial information as quickly as possible. If you sense that a divorce is likely, your spouse probably does as well and it is during this time that assets are most likely to be hidden. You should also know that, before a divorce filing is made, there is nothing illegal about a spouse moving funds around, selling assets, incurring additional marital debt or closing accounts. The earlier you get a bead on your finances, the less likely it is that assets will be hidden in the first place and the more likely you will be to find them later on. Once you suspect that a divorce is on the horizon, start gathering as much information as you can, including pay stubs, bank records, tax returns, credit card statements and investment/retirement account statements. Bear in mind that some assets are not necessarily hidden but rather devalued in some way to avoid equalization in the division of the marital estate. This is particularly true where an individual is self-employed and/or operates his or her own business. For example, funds from a business may be “laundered” through a family member or close friend for phony services, then returned to the spouse after the divorce. Cash may be skimmed from the business, bonuses delayed until after dissolution or simply not reported on tax documents or financial statements. Mechanisms for hiding income and assets are limited only by the imagination and creativity of the party seeking to avoid disclosure. There are many effective ways to uncover hidden assets and income. Often, basic discovery procedures will reveal telltale clues to the existence of hidden assets. Having financial records produced during discovery analyzed by a competent forensic accountant is typically the best way to locate missing assets. It may also be necessary to hire a private investigator to locate these assets. Sadly, if you are unsure whether or not there are hidden assets, it may cost you a significant amount just to find out. If hidden assets are located, however, the court will likely require the party hiding assets to pay those costs. If you are considering hiding assets, my advice to you is simple: don’t. Not only is this kind of behavior illegal, wrong and unfair, but it can very likely end up backfiring on you. If your spouse discovers that you have hidden assets — even after a final decree has been entered — the court can reopen your case to divide those assets that were hidden. In addition, as a punitive measure, the Court can award the entirety of those assets to your spouse. Finally, the court will take a dim view of your behavior, a circumstance that can have disastrous results for the outcome of your case. Settling your family law matter is a choice that belongs to you and your spouse. It does not belong to your attorney or to his attorney. It does not belong to the judge or to the mediator. Rather, like with all legal matters, the decision to settle is one that must be made by the clients. But how? How can we reach agreement when we see things so differently? Ask your attorney to be realistic with you. Good attorneys exercise client control and manage expectations. Their job is not to tell you what you want to hear but rather to tell you what you can expect. Don’t punish him or her for being honest with you. After all, attorneys are people too and are naturally inclined to want to avoid causing you discomfort or pain. Be realistic with yourself. Sometimes it is difficult to know what we truly want. Divorce is usually a time of great turmoil and change. You may be re-entering the work force for the first time in a long time. You may be forced to assume responsibilities that have always been the province of your spouse. Regardless of what your future holds, give yourself time to decide what you truly want and try to structure your settlement to give you the best chance of reaching those goals. It does you no good to be unrealistic with yourself regarding what you are reasonably capable of doing given your particular circumstances. Educate yourself. Your attorney should not be the only one doing the legwork in your case. In addition to deciding what you want, you need to decide how to get there. Talk to professionals other than your attorney to determine what your needs are and how to reach your long-term goals. For example, you might speak to a vocational counselor or a college admissions specialist to discuss what you will need to get reeducated to become self-sufficient or to further your career goals. Meet with a financial advisor to discuss your finances and budget. Having a clear understanding of the real life issues affecting your case will help you to structure an appropriate settlement. It will also help you justify the resolution you need to your spouse, a mediator or a judge. Don’t let others tell you what you should want. People going through divorce often receive an overwhelming amount of advice from well-meaning friends and family. That information is often third-hand and generally incorrect. Smile, politely nod your head, thank them and then go talk to your attorney. 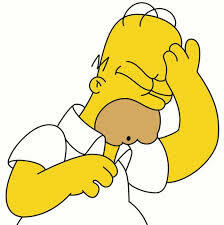 Bad information leads to bad decisions and can inhibit the settlement process. Perhaps more importantly, don’t let society’s expectations or guilt govern your decisions. For example, if you cannot reasonably handle a 50/50 Parenting Plan, don’t ask for one. Paint with a broad brush. Nowhere is the expression “don’t sweat the small stuff” more apropos than in divorce settlements. Try to avoid thinking only in terms of financial value; think also in terms of sentimental value and meaningfulness. Why fight for the big screen TV if having your old antique bed is more meaningful to you regardless of the relative values? Structure your settlement in a way that is designed to meet your needs even if doing so results in a slightly disparate division of your assets. Try to avoid fighting over percentages. After all, most people overstate the value of their personal property anyway so it is impossible to divide the marital estate with pinpoint accuracy without selling everything. More importantly, if you insist on dividing everything down to the last penny, the chances of resolving your case are slim. Know your “range” and do the cost-benefit analysis. No lawyer can tell you exactly what a judge is going to do should you take your case to trial. A good lawyer recognizes that, because of the legal standards we work with, every case involves a range of possible reasonable outcomes. What is considered a “fair and equitable division” of a marital estate or in “the best interests” of your child will vary with each individual and depend largely upon factors that are impossible to predict. Your attorney should be able to instruct you as to whether a settlement offer is within the “range” of what the court might do. If the offer is outside of the range, settlement is unlikely. Nevertheless, you must always weigh a settlement offer against the cost — both financial and emotional — of going to court to find out if you can do better. Only you can weigh the intangible benefit of getting it done. 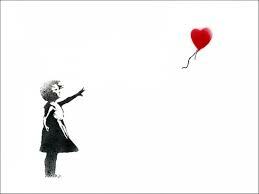 Divorce comes with a very high emotional price tag, both for you and for your children. There is a value to getting it done and over with. However, because this is a value that cannot be measured in dollars and cents, only you can weigh its value with regard to settlement. That said, you should not give away the farm just to get your case over with. You’ll wind up regretting it later. Remember who you’re dealing with. If there is any chance at all, try to bear in mind that your ex-spouse-to-be was once your best friend. If you have children, try to remember that you will be dealing with him or her for the rest of your life in some fashion or another. You know each other’s hot buttons–try to avoid pushing them. Surprise! Divorce rates are actually declining. If you watch the news, surf the web or read a popular magazine, you’d think that there is virtually no hope for the institution of marriage. So often I have heard that the divorce rate for first marriages is around 50% and that the divorce rate for second marriages is well over 60%. But where do these numbers come from and what do they mean? Are they accurate? While we may not know what the true divorce rate really is, we do know one thing: based upon census information gathered by the CDC, the divorce rate in the US is actually declining and his been since its peak in the mid-1980’s. About 70 percent of marriages that began in the 1990s reached their 15th anniversary (excluding those in which a spouse died), up from about 65 percent of those that began in the 1970s and 1980s. Those who married in the 2000s are so far divorcing at even lower rates. If current trends continue, nearly two-thirds of marriages will never involve a divorce, according to data from Justin Wolfers, a University of Michigan economist. Measuring divorce rates as defined by the number of divorces per thousand people yields the same basic results. By this measure, the divorce rate peaked at 5.3 divorces per thousand people in 1981, before falling to 4.7 in 1990, and it has since fallen further to 3.6 in 2011, the most recent year for which data are available. Notably, the marriage rate has also fallen over this period, but even measuring divorces relative to the number of people who are married shows that divorce has fallen by about 24 percent compared to peak percentages. The decline in divorce rates over the past three decades may be due to a growing tendency to marry later in life and the fact that more people try living together prior to marriage. The trend is also not equal across the board: lower income families and those without college degrees tend to have higher divorce rates. There is hope that the trend will continue. Couples whose parents have stayed married are roughly 15% less likely to divorce themselves. Accordingly, as more couples remain married, the higher the likelihood that their children will also remain married. 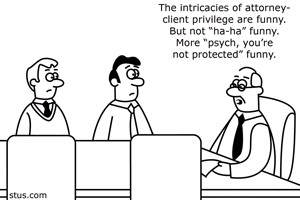 The attorney- client privilege is an important ally in your case. It allows you to communicate openly and honestly with your attorney without fear that your communications will be revealed to the other side. It can be a fragile thing, however, and care must be taken to preserve the privilege. Most importantly, the attorney-client privilege is afforded only to confidential communications between the attorney and the client. To be confidential, the communication must not be intended to be disclosed to a third person other than those to whom the disclosure is made in order to provide legal services to the client, such as the attorney’s associates and other staff. For example, an eavesdropper would not be able to testify about communication that is otherwise subject to the privilege, given that a third person’s eavesdropping is not a breach of confidentiality, because that disclosure was not intended. Of particular concern in family law matters is the frequent desire of clients to have a friend or family member present during meetings with the attorney. I recently litigated a case in which the other side’s attorney had (at the client’s request) copied the client’s family members on all correspondence. Surprise! All of those communications were now discoverable. I’ve also had the issue of waiver of the privilege arise where documents were kept by a party in a location to which the other side had ready and regular access and under conditions clearly not designed to maintain the confidentiality of the documents. In other words, maintaining the privilege takes some effort and thought. If a communication between an attorney and a client is made in the presence of someone else, then it would not be considered to be confidential. Likewise, communications between an attorney and a client that are made in a public place would not normally be intended to be confidential, and therefore generally do not fall under the privilege. Similarly, the privilege can be waived where the contents of the communications are later disclosed to third parties. For example, an attorney’s advice contained in an email to the client loses its privileged status if the email is copied or subsequently forwarded to a third party. Accordingly, you should not allow others to see any mail that your attorney sends to you because it might no longer be considered a confidential communication between you and your attorney. You should take appropriate and reasonable steps to maintain the confidentiality of all documents related to your case by keeping the documents in a secure location. Similarly, no e-mails from your attorney should be forwarded by you to anyone else. Neither should you discuss with others the advice you receive from your attorney regarding your case. The privilege belongs to you, the client, who may prevent an attorney’s disclosure of confidential information as a witness or of production of evidence in a legal proceeding regarding the client. That also means, however, that the responsibility to not to waive the privilege lies in your hands. There are, of course, limits to the scope of the privilege and it is narrowly construed because it is in conflict with the general principle that the legal process should seek the truth and full disclosure of important facts. For example, the privilege only protects communications in which legal advice was sought or rendered. In other words you can’t protect facts from being discoverable simply by incorporating them into a communication with your attorney. If you have any question as to the confidentiality of your communications with your attorney, you should have an open and frank discussion with him/her. But the take home message here is to avoid the temptation to share what you discuss with your attorney with your friends and family. Unless you want those discussions to be discoverable by your ex. Take a deep breath before you click “send”. Although email, text messages and other forms of electronic communication are a necessary evil, I am a big fan of letters. While clearly text messages have their place, they are rarely a good forum for meaningful communication about issues relating to your family law matter. The biggest problem with electronic communication is the absence of human context. As a species we have developed the ability to communicate complex concepts and emotions; but that communication is not just verbal or written. It has been said that up to 90% of our communication is nonverbal – our facial expressions, hand gestures, tone and body language all play a huge role in expressing what we feel and intend to communicate. Emails and text messages are obviously devoid of any such nonverbal communication. It is for that reason that so many electronic communications are misunderstood or misinterpreted, resulting in anger, resentment and frustration. And the fact that electronic communication does not require the sender to face his or her recipient in person adds to the willingness of most people to say hurtful things. When my daughters were about 12 years old, AOL Instant Messenger had become all the rage. Neither they nor I were familiar with this brave new world of instant written communication.I could hardly pry them away from the computer and it seemed that virtually all of their friends were now . . . well, virtual. Undoubtedly, many painful and nasty things were said under the cloak of anonymity. However, many a tear was shed over what appeared to me to be completely innocuous communications. In the tortured minds of my sweet adolescent daughters, virtually every comment was an insult. It is, of course, true that a written letter also fails to incorporate elements of nonverbal communication. However, they generally tend to be far more thought through than the average text message or email. If there is something important to talk about with regard to your children, your spouse or your case, dignify the importance of the message by either communicating in person, through a counselor or in a well thought-out written communication. There is something about the instantaneous nature of text messages (and, to some extent, emails) that tempts us to use them to respond when we are angry or hurt. When we receive a text message that seems insulting or derogatory, we rarely ask ourselves if the sender meant to say what we heard. Worse, we can instantly strike back with a nasty text message of our own. Text messages are regular fodder for court exhibits in my practice. It is because they are often not well thought through that they often reflect the raw emotion, pent-up frustration and sheer animosity of the litigants. In other words, people often say stupid things in their text messages and these often become Exhibit A in their court case. And I’m not the only family law attorney doing this. 92% of AAML divorce attorneys cited an increase in cases using evidence taken from smart phones during the past three years. In that same survey, 94% noted an increase in text message evidence. And, as discussed in a prior post, 81% of AAML members say they have seen increased use of evidence from social networking websites during the past five years, mostly from Facebook. Angry electronic communications are often used in court to show the inability of two parents to coparent their children, to rebut other testimony or to establish a litigant’s state of mind or attitude towards the other party. So long as the text messages are properly transcribed and complete, there is little your attorney can do to prevent them from being shown to the judge. Aside from the impact that such communications can have on your case, try to think of the impact your communications will have on your relationship with your ex, particularly when children are involved. I have rarely seen an angry series of text messages between two parties that resolved a dispute or convinced one of the parties that their position was somehow irrational or wrong. So really: what’s the point? Think before you text. If you really have something important to say, stop, take a deep breath, and write a letter. There is no such thing as too much information. In litigation, there really is no such thing as too much information. Both for the client, as the consumer of legal services and for the attorney working to guide the client through the difficult and unfamiliar landscape of our legal system. Nowhere is that more true than in family law litigation. Our clients rarely have much — if any — experience with the legal system. Take that lack of experience and add the overwhelming emotional trauma of divorce or child custody issues, the financial stress on the family inherent in the new family reality and the cost of litigation and what results is a perfect storm of stress and uncertainty. Is it any wonder that clients turn to the internet, well-meaning friends and family for information and guidance? Family law attorneys often spend much of their face time with clients clearing up misinformation gleaned from the web or from third parties trying desperately to buoy a friend’s spirits with not-entirely-accurate tales from their own divorce. While there is certainly nothing wrong with the support of friends and family, try not to believe everything you hear. If it sounds too good to be true, it most likely is. There are many reasons information from third party sources may be inaccurate. The law varies from state to state. Procedure can vary from county to county. Every judge is different, every case is different and every child is unique. Your friends and family want to give you encouragement so they tell you what they think you want to hear. Worse yet, people will often dramatize their own divorces or don’t want to tell the entire story. Misinformation can be worrisome at best. At worst, it is incredibly destructive. Expectations are created, often unattainable and unchangeable. Anger or resentment often rises when an ex-spouse refuses to do what my friend’s uncle’s brother did for his ex. So where do you go to get good information about what you can expect? Why, your attorney, silly. And within the context of that relationship, there is no such thing as too much information. There are no stupid questions. Every good family law attorney should strive to inform his or her client to the fullest extent possible about what to expect through the litigation process, procedurally, financially, emotionally and otherwise. Clients need to be prepared for the decisions they will need to make, the choices they will have to face and the consequences that will result from those various paths. In short, the cure for misinformation is good information. And lots of it. That includes not only providing data when asked, but knowing when the client needs information he/she has not asked for. We provide informational letters at various stages of the process to ensure our clients have appropriate information –even when they haven’t asked for it. We ensure that the entire staff is up to date on every case so that basic questions can be answered quickly and efficiently. Ensuring that the client has ready access to data, case events and documentation is one of our primary goals. But the provision of information is a two-way street. Your attorney cannot properly advise you without all of the pertinent information. That means that you need to be open and honest — not always the easiest thing to do when dealing with the sensitive landscape of family issues. You need to feel comfortable divulging the good, the bad and the ugly truth because you can be assured that your ex is telling his attorney about it. And there is nothing worse than your attorney discovering a bad fact in the middle of a hearing or other proceeding. What I love about family law is the diversity of the scope of my work. Helping people through family transitions in the healthiest way possible is what I strive to do with every case. Developing trust with my clients so that they feel comfortable providing as much information as I need is a key factor in a successful outcome. Providing the information that my clients need is key to developing that trust and making the litigation process tolerable. When Can My Kids Decide? I am often asked whether there is an age at which a child can determine his or her own parenting schedule. The answer is not that simple. In Montana, there is no magic age at which a child is vested with plenary authority to decide her own schedule of contact with her parents. In broad terms, a court must always consider the wishes of the child as a specific statutory best interests factor under Montana law. In addition, the statute addressing modifications of parenting plans references the need to consider of the wishes of a child over the age of 14 who desires amendment of the plan. In practice, I have seen courts interview children (in chambers, of course) as young as 8 but the decision to hear directly from the child is not one made lightly and is highly dependent upon the specific facts of the case. Moreover, as a practical matter, courts recognize that as children get older, they often “vote with their feet”, a behavior made all the more decisive when a child gets his/her driver’s license. Often, parents throw up their hands and lament that there is nothing they can do, that their child is going to make her own decisions about spending time with the other parent. In healthy parenting relationships, this doesn’t seem to be a big problem. Older children are generally allowed to come and go as they please, the parents communicate and maintain consistency between their households, and unequivocally support the other parent’s relationship with the children. But what if the children gravitate to one household because the rules are more lax, because they’re allowed to stay up late, watch R-rated movies, or are not forced to do homework? What if one parent is poisoning the relationship between the children and the other parent? Whether and to what extent the court should consider the wishes of a child in developing a parenting schedule — whether the child is 5 or 15 — will depend entirely on the unique circumstances of each case. The gravitas to be given a child’s wishes must depend upon the child’s reasoning, maturity level, and objective measures of successful functioning like grades and other academic and social achievements as well as behavioral problems, disciplinary issues and substance abuse considerations. Should you call your child as a witness in your case? Never. Never ever ever. If you believe that your child’s wishes should be heard, take him to a mutually-acceptable counselor who can then provide data to the court regarding the child’s wishes. Or have a GAL appointed. You might be surprised that what you think are your child’s wishes are actually a reflection of what you want your child’s wishes to be. The truth may be a bit different than what you thought. I am occasionally asked by clients whether or not they should get a prenuptial agreement in the event that they remarry. Quite frankly, I’m surprised that more people don’t utilize them. I suppose it is because people who are about to get married don’t like talking about the possibility that they will not stay married. Some people are vehemently opposed to the very concept of a prenuptial agreement — usually, the people that express that opinion do not have a great deal to lose or have not been through a messy divorce. The simple fact is that prenuptial agreements have a number of significant benefits and the mere fact that one or both of you desires to protect yourself in the event of a dissolution of your marriage, does not mean that you expect or plan to be divorced. Sort of like wearing a helmet does not mean that you plan to crash your bike. Prenuptial agreements are most beneficial to parties who have significant assets to protect. They are also very attractive to parties who have previously been through an unpleasant, contentious and protracted divorce. However, premarital agreements may also be beneficial to parties who do not have significant wealth as the scope of possible subjects to be resolved by prenuptial agreement is broad and can include limitations on spousal support. Properly crafted prenuptial agreements protect valuable or sentimental premarital and inherited property and clearly define the scope and nature of all premarital property of both parties. A prenuptial agreement can protect assets from the debts of a future spouse and protect your children’s inheritance. They can establish mechanisms for resolving future disputes, streamline and simplify divorce proceedings in the event that they do occur and reduce acrimony and cost. There are, of course, some limitations to what the parties can address in their agreement. For example, a premarital agreement cannot impact support of children. In addition, there are exceptions to the general rule that premarital agreements must be enforced by a Court and certain formalities in the preparation and execution of the agreement must be followed. For example, a prenuptial agreement will be set aside in the event that it was not voluntarily executed, if there was not a fair and reasonable disclosure of the assets at issue or the agreement is otherwise unconscionable. In January 2012, the Montana Supreme Court decided In Re Marriage of Funk, a case that I believe makes the case for premarital agreements even more compelling. The primary issue in that case was a piece of real property that had been inherited by the husband. The wife was awarded a substantial interest in the property upon the parties’ divorce and the Montana Supreme Court affirmed, stating that the District Court was required to consider the “contributions of a homemaker” to the maintenance or preservation of what would otherwise be considered separate property. The Supreme Court went on to overrule about a bajillion (that’s a legal term) previous cases. Most attorneys agree that Marriage of Funk did not really change the law. However, those same attorneys will cite to the Funk case when trying to argue in favor of granting a non-acquiring spouse an interest in the other party’s premarital or inherited property. A properly prepared and executed premarital agreement avoids any confusion or doubt. True, premarital agreements are not exactly the most romantic thing to discuss before your wedding. However, marriage should not be about ownership of property and nothing in a prenuptial agreement prevents both parties from enjoying the benefits of property owned by either party. Opening the lines of communication about issues that are important to you is critical to a happy, honest and successful marriage. 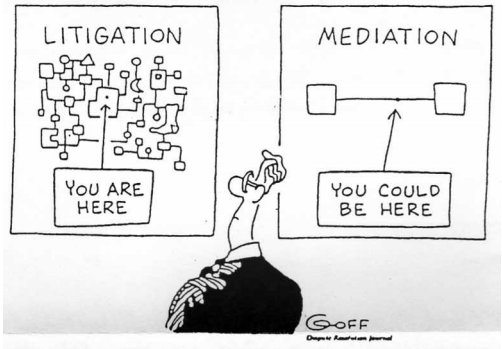 What to expect at mediation. Mediation is an informal process by which legal disputes are negotiated (and, hopefully, resolved) through the use of a third-party neutral. Here in Gallatin County, the parties to any family law matter must attempt two mediations before the Court will set a trial date. So what can you expect at mediation? Generally speaking, the mediator will be an attorney, preferably one with significant family law experience. I believe that it is critical to a successful mediation that the mediator have the experience to know the likely range of options available to the Court in any given situation so as to appropriately provide insight that might help resolve the case. Importantly, a mediator is not a representative of either party. The mediator’s sole purpose is to serve as an intermediary between the parties. Of course your attorney will also be present at mediation and you should always feel free to consult with him or her privately at any point during the mediation. Mediators will often request that the parties start the mediation process together. Typically, they will ask the parties to make a brief presentation regarding the basic facts and the issues in dispute. There are different schools of thought on this subject. Personally, I never start mediations with the parties in the same room. There are a number of reasons for this. First, family law matters tend to involve emotionally-charged issues and it is often difficult for parties to keep their emotions under control when directly confronting their ex-spouse. I want my clients to be able to relax during mediation and to be able to present their case to the mediator without feeling constrained in any way. Second, marriages all have dynamics, some of which may have led to the failure of the marriage. The last thing I want is for that dynamic to carry itself into the mediation. For example, if the other side is a bit of a bully, I do not want my client to feel that same dynamic during the mediation process. If you do start out in the same room, make sure that you behave yourself. Allow the other side to present his or her case without interrupting and by all means listen to what they are saying –you might gain some insight that will help settle the case. Don’t roll your eyes or make disparaging sounds or remarks. When it is your turn to speak, breast your cards and save your arguments until you are alone with the mediator. There are two main rules to remember during mediation. First, what happens in mediation stays in mediation; in other words, no offers or proposals made at mediation will ever show up in front of the Court. Any settlement positions expressed at mediation are inadmissible under the Rules of Evidence. The obvious purpose of this rule is to allow the parties to “think outside the box” with regard to settlement options without the fear that their proposals will somehow come back to haunt them should they be unable to resolve their case. The second rule of mediation is that the decision to settle the case belongs to the parties. What I mean by that is that neither party can force the other party into a settlement. The mediator is not a judge and cannot make decisions for the parties. Your attorney cannot force you to settle; he or she can only give you advice regarding what the Court would likely do under your particular fact pattern. In the end, the decision to settle or not settle always belongs to the client. After all, it’s your life. Prior to mediation you should have some idea of your settlement parameters . In other words, you should have some idea of what you’re willing to accept and, perhaps more importantly, what you will not accept. No one can predict with 100% accuracy what a Court will do. Accordingly, you will have to decide whether you are willing to “paint with a broad brush” and work towards a resolution that is generally acceptable or whether you will insist on pursuing exacting detail in your settlement discussions. I have found that most people are happier crafting settlements that get them the things that are important and have meaning to them rather than worrying about whether or not they have divided the household furnishings with exacting economic precision. Generally, the mediation starts by the mediator explaining his or her role in the process, the basic rules of conduct and the limitations on his or her authority. If the client feels comfortable, he or she will explain to the mediator the basic facts of the case, describe the contested issues and, perhaps, propose an acceptable resolution. If the client is uncomfortable speaking, the attorney will step in and explain to the mediator the basic issues for mediation. Typically, as the process continues even the shyest of clients relax and become more vocal in the process. 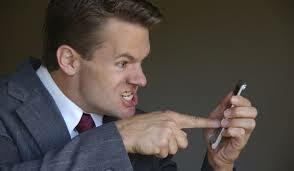 Be sure that the mediator understands what he or she is allowed to communicate to the other side. Most mediators are pretty good at being able to determine what is fair game to discuss with the other party but if there is any doubt, make sure to speak up and tell the mediator that he or she is not allowed to communicate a particular fact, position or opinion to the other side. Once the mediator has a good grasp on the facts and your position, he or she will head off to the other room to discuss the same issues with the other party. The mediator will go back and forth between the rooms until a resolution is reached or it becomes clear that no resolution is possible. Bring a book– there is often a lot of time during which you will be sitting alone or with your attorney just waiting for the mediator to come back. Try to remember that the mediator has far more information than you do since he or she has heard from both sides. As such, you should let the mediator determine when the mediation is hopeless and should end. Even if mediation is unsuccessful, it is valuable in many ways. For example, mediation often serves to identify those areas where the parties have agreement and where they have disputes allowing the parties to focus their future efforts exclusively on contested matters. 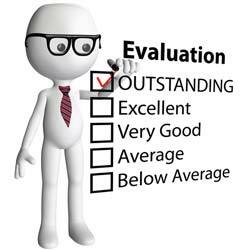 Mediation also serves to identify those areas where additional information is needed, such as an appraisal or business valuation thereby allowing the attorneys to focus discovery efforts on obtaining that missing information. Perhaps most importantly, mediation will give your attorney insight into the other parties’ legal and factual positions. What NOT to do during your divorce. I am often asked by clients if there is some critical question that they are not asking or something else they should be doing to help their divorce process. The truth is that it is more likely that there are things that they are doing that they should not be doing. The legal end of your divorce is handled (primarily) by your attorney; how you comport yourself personally, professionally and as a parent during your divorce is up to you but can have a profound effect on the legal process, the end result and –particularly if you have children–the rest of your life. The following are some tips on what not to do during your divorce process. They are by no means exhaustive. 1. Don’t be a spectator in your own divorce. Many clients are tempted to allow their attorneys to do all of the work in their case. While most attorneys are happy to do so, being a passive participant in your own divorce case can increase legal fees substantially. In addition to saving money, actively seeking information from your attorney, taking steps to understand the process, gathering appropriate documents and working with your attorney so that he or she understands what you truly need and want will alleviate the sense of helplessness that often comes with the end of a marriage. I encourage my clients to think of their divorce as both an end and a new beginning. Taking an active role in shaping your future will help ensure that you are moving forward on the right path. 2. Don’t go it alone. Divorce usually brings about enormous changes in virtually every aspect of your life. Don’t be afraid of those changes, but don’t think that you can handle them all by yourself either. Virtually everyone going through the divorce process would benefit from counseling, even if only for a few sessions. Spouses who will be forced to enter the work force after a significant period of being a stay-at-home parent should seek vocational counseling and consider the possibility of further education. Spouses who have not been involved in managing the marital finances should seek to establish relationships with a trustworthy financial advisor, realtor, insurance broker and banker. Begin to surround yourself with the people you will need to start your new life. 3. Don’t involve your kids. Children deserve to be children. They do not need to know the details of your divorce; they do not need to know why you and your spouse are divorcing. They do need to know that it is not their fault, that you love them and, while things may be different, that they will be okay. Avoid parentalizing your kids by using them as an ally or a confidant. Do not speak poorly of the other parent or allow others to do so in the presence of your children. 4. Don’t withhold information from your attorney. This has been covered in previous posts but it bears repeating. Your attorney cannot help you unless you are truthful with him/her and forthcoming with regard to information relevant to your case. Your attorney should not find out about some embarrassing or bad fact when it is too late to avoid the damage , i.e., at trial. By knowing the weaknesses in your case from the start, your attorney can plan and strategize so as to minimize the damage. 5. Don’t alienate your ex. If it is at all possible, try to keep an open line of communication with your ex, even if that line of communication is email or text messaging. As discussed in prior posts, keep your communications civil and on topic. Avoid rehashing old arguments or placing blame — if you couldn’t resolve those issues when you were married, you certainly won’t resolve them now. If you have children, the ability to communicate with your ex is a critical part of coparenting after divorce. While it is difficult, the emotional dividends for your children are enormous. Bear in mind, however, that keeping an open dialogue with your ex does not mean putting up with abusive behavior or discussing case strategy. Don’t let your ex undermine your relationship with your attorney — and he or she will likely try. And, it should go without saying, don’t reach any agreements with your ex without discussing those agreements with your attorney. 6. Don’t assume that your attorney has to be unpleasant to be effective. Some people feel that to be a “fighter,” an attorney must (1) be uncooperative with opposing counsel in such matters as disclosing information, disclosing documents, and arranging for convenient dates for meetings, depositions, etc; and (2) never con­sider or advise compromise or negotiation with opposing counsel. This notion is sadly misguided; the time to “fight” may be in tough negotiations in court. Being uncooperative with opposing counsel greatly increases attorney’s fees with all legal steps done the hard way such as preparation of special documents, appearances in court, etc. The information and documents are ultimately subject to disclosure under the law. Therefore, an uncooperative attitude serves no useful purpose. At times it seems you are always on the defensive. At different stages of the case, the roles reverse. Don’t worry, it evens out throughout the course of the case. 7. Don’t make a public spectacle of your divorce. While it is tempting to provide your friends with a blow-by-blow accounting of your divorce on Facebook or Twitter, don’t do it. If you have nothing nice to say — and you probably don’t — don’t say anything at all. Facebook posts, emails and text messages all have a nasty tendency to show up in front of the judge. 8. Don’t gloat over your victories. Don’t rub in your legal victories. Losers try to even up the score. 9. Don’t lose your humanity. Divorce is challenging in many ways. It is not only a legal battle but an emotional journey as well. It has been said that criminal law matters bring out the best in bad people while family law matters bring out the worst in good people. There is truth to that. It is easy during this process to succumb to hatred, to point fingers and to place blame. But, while it may seem difficult to believe at this moment, there will come a day when all of this will be over and your life will go on. You wedding was beautiful; try not to make your divorce ugly. When children are involved, if you cannot stay married, strive to at least stay friends.